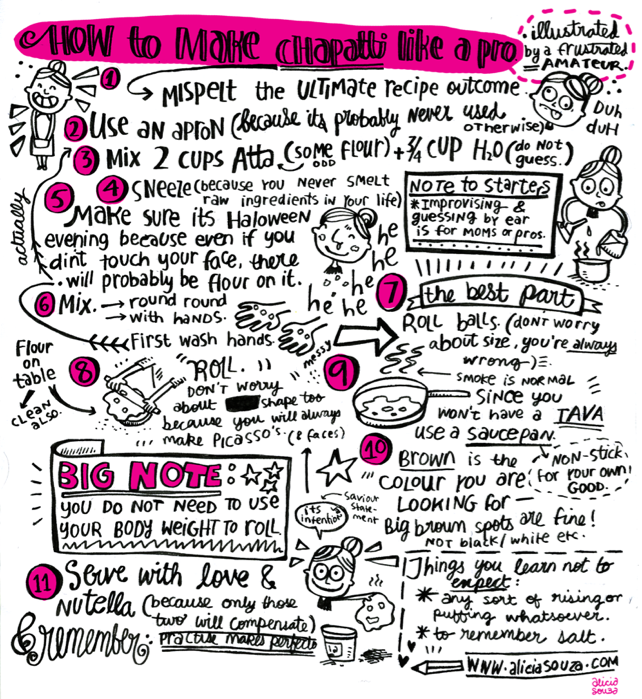 Ok …so this post was inspired by Alicia‘s “How to make Chapati like a pro” illustration that we recently featured. 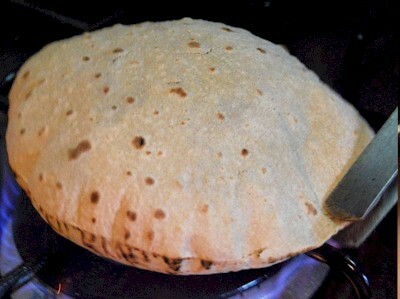 Roti’s aka chapatis are soft handrolled and puffed round breads that look like tortillas- but are like biting into papery clouds of wheat goodness…mmm. Most fans of Indian food are familiar with Naans and the Tandoor but the lovely roti has been left behind in the culinary hall of fame. And for us modern folks who love the marvel of engineering, here is a video on a roti machine that has been making the rounds on the internet. Now, that’s something I wish they made in a smaller size for a regular kitchen!